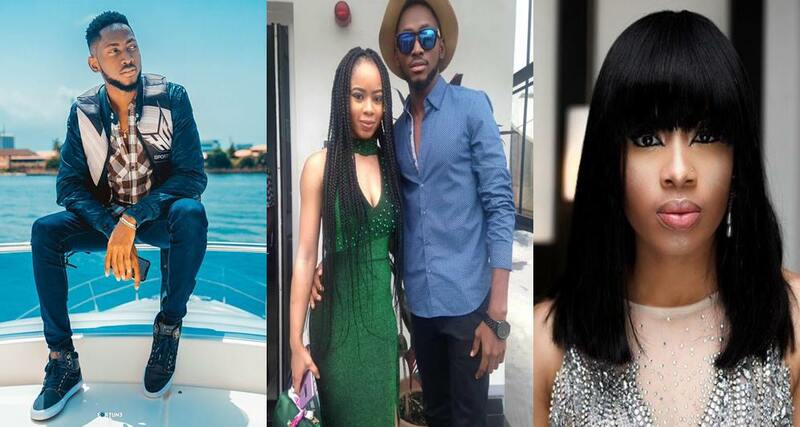 Former Big Brother Naija housemate and one of the five finalists, Nina, has finally reacted to rumour that her former strategic partner Miracle, dumped her and their relationship has totally crashed. 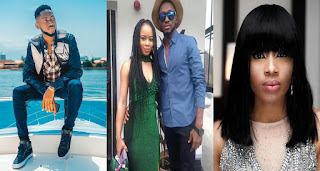 According to the young ambassador, everything is still fine between she and Miracle and her fans really need to understand that She and Miracle are not in any manner or form having issues. 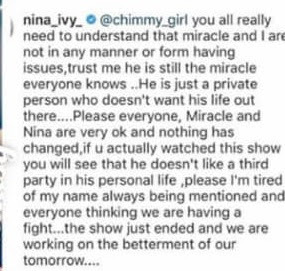 Well I hope all Nina and Mina fans can now have rest of mind. Lol! I am very enjoyed for this blog. Its an educational topic. It help me very much to fix some problems. Its opportunity are so fantastic and working style so speedy.